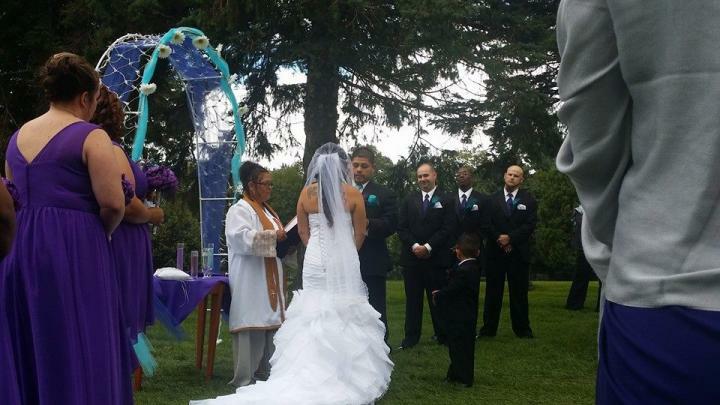 Affordable Bilingual wedding officiant ( English & Spanish). I have been an ordained minister since June of 2013 and have enjoyed participating and helping couples prepare their wedding ceremony. I am a Christian but I prepare wedding ceremonies for all religious and non-religious individuals. I also do alterations and make personalized veils by incorporating colors or incorporating old memories into your veil. The bride in this picture is wearing her deceased mothers wedding dress. I will go any where in Michigan as long as travel expenses are met. Hello my name is Lawrence. I was ordained by ULC several years ago. 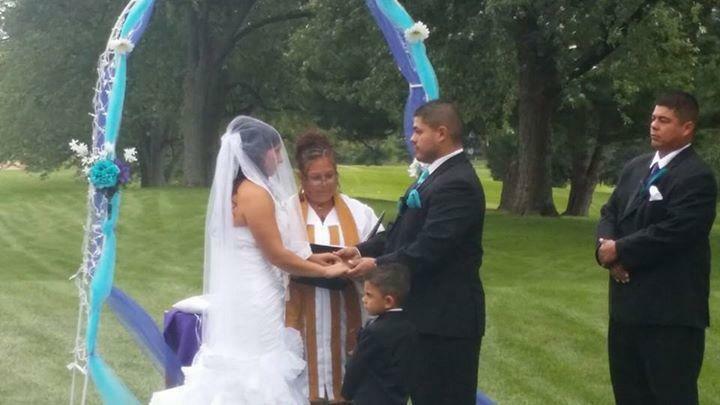 I performed the ceremony for my stepson and his wife in Indiana. I was wondering what were Michigan requirements!